Baby Bottle Decay: How to Prevent Early Childhood Cavities. A childhood disease that can be prevented is early Childhood Cavities. Some tips are listed below on ways to help protect your baby from this condition. Be sure to ask your dentist or doctor for more information. The best way to prevent these cavities is to not put your baby in bed with a bottle. If your baby must have a bottle in bed, you can put plain water in it. Any liquid besides water, such as milk or juice, can cause cavities. You may use a bottle to feed your baby during normal feeding times, but do not allowed your baby to use their bottle as a pacifier. This can be a cause of major tooth decay. Hold your baby while they are being feed. If your baby falls asleep, remove the bottle and out them in bed. Avoid letting a toddler walk around with a bottle. If you need more tips on how to help with baby bottle decay, talk to your dentist or physician. 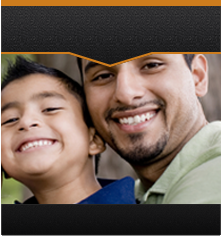 To contact Power Ranch Dental for more information our number is (480) 988-2282. Thanks!